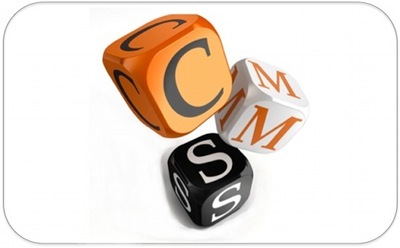 Pros and Cons of Content Management Systems. A content management system or CMS is a software application that allows users to create, maintain, store and publish digital content. The term is related to both “Web Content Management” or WCM which refers to publishing on the world wide web and “Enterprise Content Management” or ECM which describes how large organisations use systems not only for their websites but to maintain all their internal documents as well. There are hundreds of different products available for both single users like bloggers to very large organisations who can take advantage of all the features that the systems have to offer. The main things to consider are the size of the project and the available budget because there are both proprietary and open source applications available. So a large organisation with complex needs will want to consider the paid solutions on offer from large providers like IBM and Microsoft. These will provide all the features and support that the company needs but at considerable cost. Smaller organisations who can’t afford the high end solutions might want to consider the free open source solutions available, the most popular being WordPress, Joomla and Drupal. clickworker prepares SEO texts, which can be integrated directly into the CMS – learn more information about data transmission via API! Content Management Systems typically have two component parts commonly referred to as the “front end” and the “back end.” The front end part is the web site and the tools needed to create web pages and publish them. The back end is the usually some form of relational database where records are stored. The database allows new records to be created, existing ones to be amended or deleted and retrieved to be passed to the front end for viewing. All content management systems have some common features such as the ability to customise the look and feel of the site by installing themes and they allow multiple users and can control access permissions making collaborative projects possible. There are, however, differences between the packages that make them more or less suitable for different projects. WordPress is specialised towards blogging and some estimates calculate that more than a quarter of all the sites on the web are built using it. Joomla has all the features necessary for a small basic website whereas Drupal is more complex and better suited for larger sites; even the U.S. government has built sites with it.